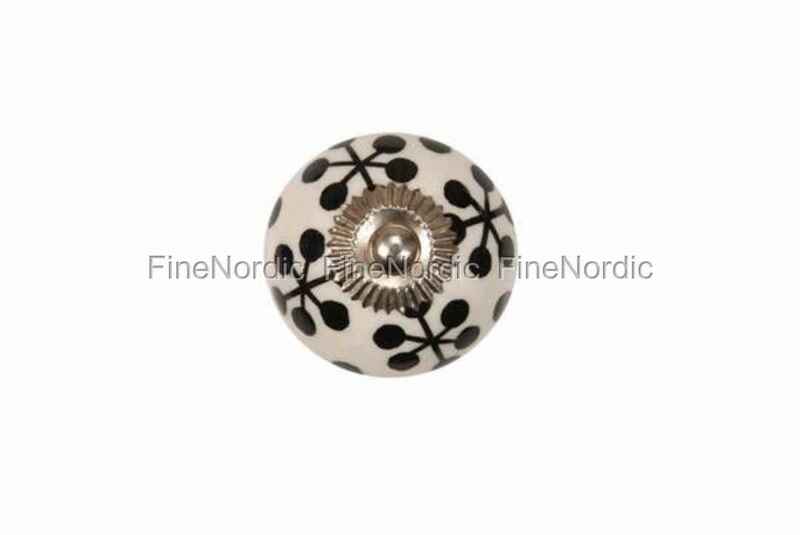 This La Finesse porcelain knob is cream colored and features a black pattern. A porcelain knob is an inexpensive way to refurbish an old piece of furniture and add a new look to the room. No matter if the revamped commode or armoire stands in the kitchen, living room or children’s room, any room benefits from the little eye-catcher. The porcelain knob is not just nice to look at but also very practical. With it attached, you can easily open and close a drawer or door. Do you have more than just one piece of furniture you want to beef up? Then please have a look at the large selection of porcelain knobs we have available in our web shop.